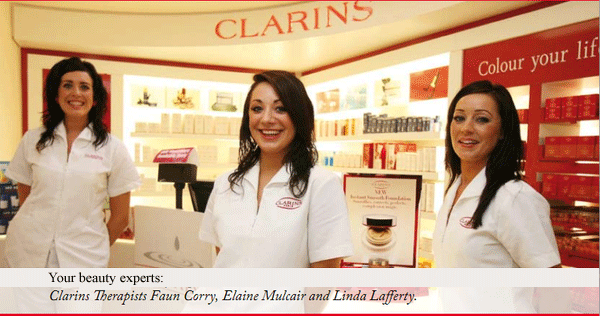 Enjoy the Clarins Experience at our new Clarins Beauty Salon in Rochford's Pharmacy, located at 21 Parnell St. & Parnell St. Carpark, Ennis. Telephone: 065 6820099. Our Clarins Paris trained therapists will nourish your body and soothe your mind while you relax and enjoy the latest range of therapies and products from the Clarins range. visit our special website www.clarinsexperience.com.